The 2016 presidential election is quickly becoming the year of the outsider, and Texas senator Ted Cruz is positioning himself as the most-outside of the insiders. Cruz has made a name for himself staging government shutdowns and chastising the “Washington Cartel” for corruption and bureaucracy, and as Donald Trump begins the long fall from the top and Ben Carson fends off increasing controversy, Cruz has been surging (cruising?) to the front. With election day now less than a year away, Cruz may be finding his moment at the right time. Who is Ted Cruz? Ted Cruz is a U.S. senator and the former solicitor general of Texas. 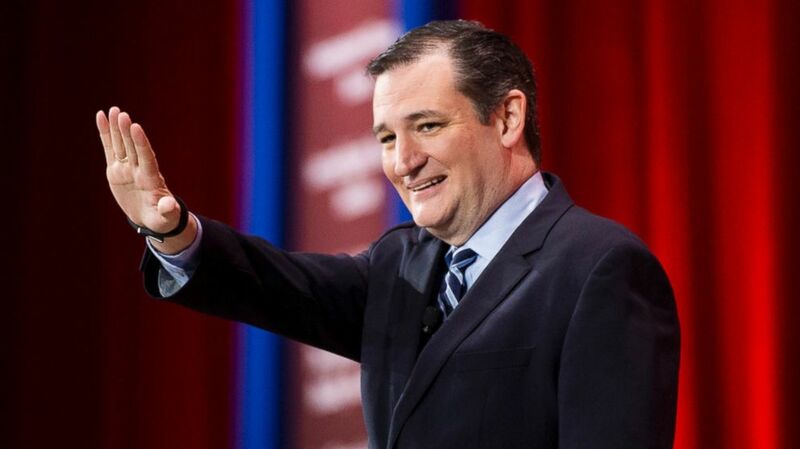 Although Cruz was born in Canada, current court precedent considers him a natural-born citizen of the United States due to his mother’s American citizenship at the time of his birth. 13-year-old Cruz developed an interest in policy through his involvement with the Free Market Education Foundation and later earned a B.A. in public policy from Princeton University. The senator further studied law at Harvard, where he gained notoriety as a champion debater. Upon graduation, Cruz spent several years in private law practice before working on President Bush’s 1999 campaign as a domestic policy adviser. Various jobs in the Bush administration led Cruz back to Texas, where he was appointed solicitor general until 2008 and thereafter returned to private practice. In 2012, Cruz achieved what The Washington Post described as “the biggest upset [of the year]” when he staged a successful bid for a Texas seat in the U.S. Senate, where he currently serves. Fun fact: While staging a filibuster to protest the Affordable Care Act in 2013, Cruz found himself on the Senate Floor during his girls’ bedtime and read them (and the rest of the Senate) Green Eggs and Ham. What is this candidate's campaign slogan? Widely considered hawkish on foreign policy, Cruz has panned the United States’ nuclear deal with Iran, claiming it will “facilitate and accelerate the nation of Iran acquiring nuclear weapons.” Although this position is favored almost universally by Republican candidates, Cruz diverges from his more moderate rivals in his pledge to “rip to shreds this catastrophic Iranian nuclear deal” on his first day in the Oval Office, a promise made at September’s presidential debate. Although Cruz considers Iran the nation’s foremost security threat, he ranks radical Islam as the second-largest threat and believes the United States ought to “bomb [ISIS] back to the Stone Age.” As president, Cruz would pair mass U.S. air power with Iraqi Kurds on the ground but has neglected to commit to either sending or not sending American troops to fight in Iraq and Syria. “It should be a military decision, what’s necessary to destroy ISIS,” he remarked to Fox News in March. Cruz has accused the Obama administration of taking too passive a stance on Russia, telling Sean Hannity last week that President Obama “just surrenders and gives [President Vladimir Putin] everything.” In the wake of Russia’s alleged attacks against Ukrainian forces last winter, the senator urged the U.S. and Germany to provide defense weapons to Ukrainian troops. Despite Cruz’s mistrust of President Putin, he also remarked in a recent CNN interview that, as president, he would cooperate with Russia while fighting the Islamic State. At a conference intended to draw awareness to persecuted Christians last fall, Cruz garnered heavy controversy for speaking about Jewish persecution. “The very same people who persecute and murder Christians right now, who crucify Christians, who behead children, are the very same people who target Jews for their faith, for the same reason,” the senator said before being booed offstage. Cruz’s repeated calls for the State Department to move the U.S.’ Israeli embassy to Jerusalem (a city claimed by both Israel and Palestine) reflect his pro-Israel stance. Cruz differentiated himself from the rest of the GOP candidates at August’s presidential debate, when he claimed to be one of the few presidential hopefuls to have never supported amnesty (Politico rated the statement “mostly true”). Indeed, Cruz’s senate record confirms his strict immigration rhetoric: since the start of his term in 2012, Cruz has consistently voted for the defunding of amnesty and path to citizenship programs and most recently supported Kate’s Law, a measure that would impose a five-year minimum sentence on any deported immigrant who returns to the country. As a particularly vitriolic critic of the Affordable Care Act, Cruz has made repeated attempts to repeal sections of the law, the most notable of these attempts being the aforementioned filibuster, which lasted 21 hours and helped cause a temporary government shutdown. In March, the senator proposed his own Obamacare alternative, a bill that would permit Americans to purchase health insurance across state lines and repeal Title I of Obamacare (effectively undoing much of the law). Louisiana Governor Bobby Jindal, however, pointed out that the Cruz campaign has no official healthcare policy and challenged the senator to a debate on the subject before Tuesday’s next GOP debate (as of writing, Cruz has yet to respond to Gov. Jindal’s invitation). In April, Cruz signed the Taxpayer Protection Pledge to the American People, demonstrating a commitment to “oppose and veto any and all efforts to increase taxes” (the senator also signed the pledge prior to entering the senate and, the website reports, has kept the oath). Cruz’s own tax reform plan imposes a 10% tax on all income for all individuals, excluding families of four that make less than $36,000. The plan also repeals the death tax, Obamacare taxes, payroll tax, and corporate income tax, and also institutes Universal Savings Accounts, which would allow individuals to save up to $25,000 annually on a tax-deferred basis. Although not a part of Cruz’s official plan, the senator told Fox News his policy would allow for the abolition of the Internal Revenue Service, a reform Cruz has championed for some time. “The most compelling civil rights issue of the 21st century is the need to expand school choice and educational options so that every child, regardless of race...has a fair opportunity to receive an excellent education,” Cruz said in a Senate hearing last December. Cruz’s proposed mechanisms for achieving these goals include repealing Common Core, embracing school choice, and improving charter schools. Much like his aim of abolishing the IRS, Cruz also supports the abolition of the Department of Education but has yet to include the measure as part of his campaign. Turning liberal rhetoric on its head, Cruz has termed Democrats’ attempts to increase abortion access “a manifestation of a war on women,” citing “health con­sequences that un­lim­ited abor­tion ac­cess has had on many wo­man.” The National Right to Life Committee endorsed Cruz during the 2012 election and has since granted the senator a 100% “pro-life” rating. Cruz’s pro-life views extend beyond his political career: while a lawyer, he defended parental notification on abortion, a case he won unanimously. In response to a series of videos exposing Planned Parenthood’s alleged sale of fetuses, Cruz has threatened to once more shut down the government unless the group is defunded. When asked about climate change by Politico, Cruz retorted that “data and facts don’t support it.” Instead, Cruz sees global warming as a theory being used to control the economy and energy industry and has compared climate change proponents to “Flat Earthers.” He has further pointed to President Obama’s recent EPA regulations as “overregulation” that harms “people who want to achieve the American dream.” In the senate, Cruz introduced the American Energy Renaissance Act, which would remove many federal impediments to private energy production and approve the Keystone Pipeline. Is he a controversial figure? Why? Labeled a “wacko bird” by Senator John McCain, Cruz sits too far right ideologically for many voters. Dan Balz of The Washington Post writes that Cruz “tests the limits of conservatism” through his support for far-right policies concerning Obamacare, abortion, and more and through his anti-establishment rhetoric. Even among conservatives, Cruz’s senate voting record has become suspect; while Donald Trump has accused Marco Rubio of missing the most senate votes, Cruz actually holds the top spot. What’s one humorous or summarizing quote from this presidential hopeful?